Happy Chinese New Year! BEAM wishes all good health and lasting prosperity! 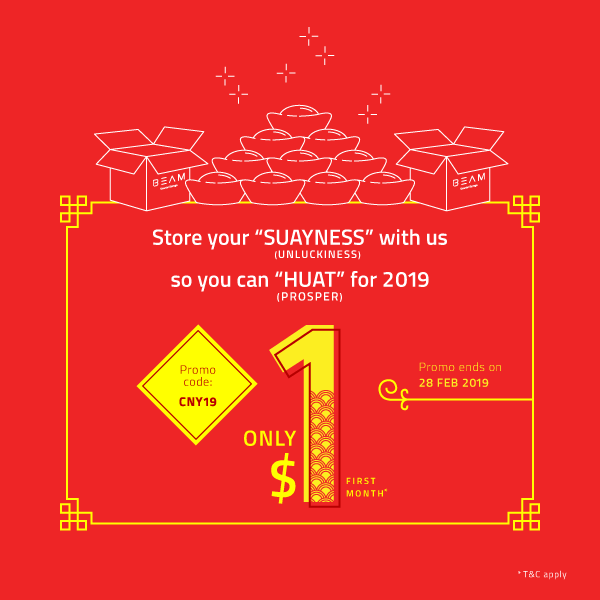 Come and store away your “SUAYNESS” (unluckiness) for this Chinese New Year, so you can bring in “HUAT” (prosper) into your house! 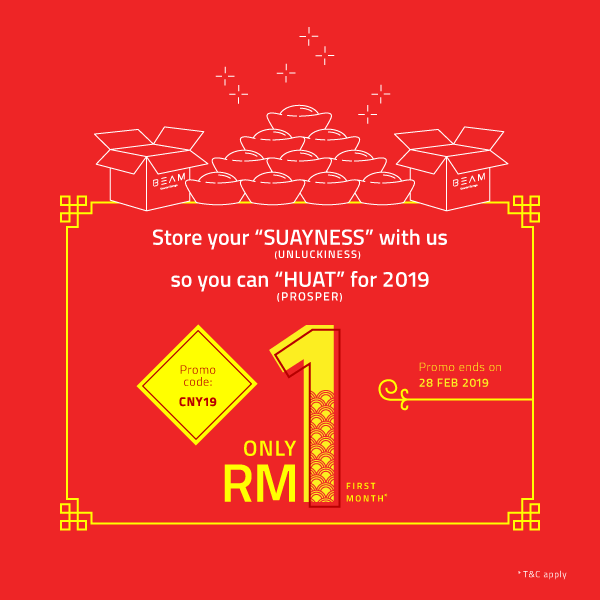 Store with us for just $1 / RM1 for the first month when your store for the first time or add to your existing storage. Offer applies and is valid until 28 February 2019. To enjoy this offer, download the BEAM Space mobile app for iOS or Android or login through the BEAM Website and enter the promo code ‘CNY19’.